Is a trip to the Arctic Circle on your bucket list? Would you like to experience the true “Land of the Midnight Sun?” Aspiring to venture into the northernmost national park in the U.S.? Let us be your guide for a day trip north from Fairbanks and into the untouched wilderness and beauty of the Far North. 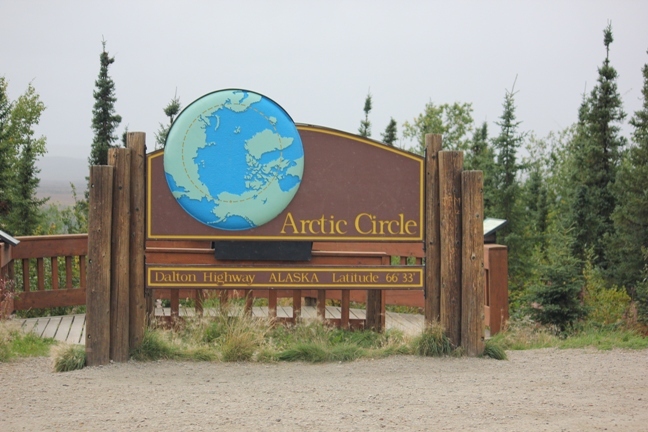 Geographically, the Arctic Circle is one of Earth’s five major circles of latitude. Beyond basic geography, traveling past the Arctic Circle places you in a group of elite travelers who have ventured so close to the North Pole, which is only 1,640 miles from the start of the Arctic Circle. If you choose to explore the area by ground, you will likely be driving the Dalton Highway into the Alaska Arctic. The Dalton Highway was originally built to haul equipment north from Fairbanks for the trans-Alaska oil pipeline. Be sure to stop and take a picture by the pipeline as it zigzags across the arctic tundra. As travelers who have taken this trip before will tell you, entering the vast tundra north of Fairbanks puts the enormity of the Arctic into perspective quickly. Whether by rental car or tour bus, an Arctic Circle adventure is sure to make an exciting, albeit long, day. Travelers should plan on at least nine hours to get from Fairbanks to the Arctic Circle and back by car. But, rest assured, a cozy bed will be waiting for you at the Fairbanks Princess Riverside Lodge upon your return. Open all year, the Fairbanks Princess is the perfect jumping-off point for your Arctic Circle excursion. If you decide to venture into the Arctic by air, you can cover more ground. If this sounds like a more appealing option, be sure to check out the Arctic Circle Air Adventure, a once-in-a-lifetime chance to explore the Arctic Circle with a bird’s eye view. 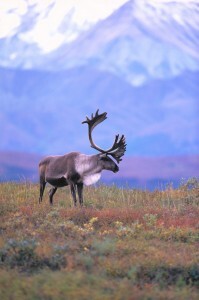 This method of travel gives you the opportunity to pass south of the Gates of the Arctic National Park, the northernmost national park in the U.S. Air travel north from Fairbanks also offers views of the rugged Brooks Mountain Range, touted as the northernmost section of the Rocky Mountains as well as the highest mountain range within the Arctic Circle. And, if you’re planning a trip to the Arctic in the summertime, don’t forget your shades. Alaska’s nickname as the “Land of the Midnight Sun” is certainly visible midsummer above the Arctic Circle, where the sun is visible 24 hours a day. By land or by air, visitors to the Arctic Circle will be in awe of the diverse array of arctic wildlife. Keep your eyes peeled for moose, caribou, grizzly bear and songbirds, just to name a few. If you are one of the adventurous travelers to make the trip above the Arctic Circle, make sure to grab an Arctic Circle certificate to make your visit official. If you venture into the Arctic with a tour guide, they may offer the certificates; but, you can also pick up a certificate at the Alaska Public Lands Information Center in Fairbanks, located in the Morris Thompson Cultural Center.